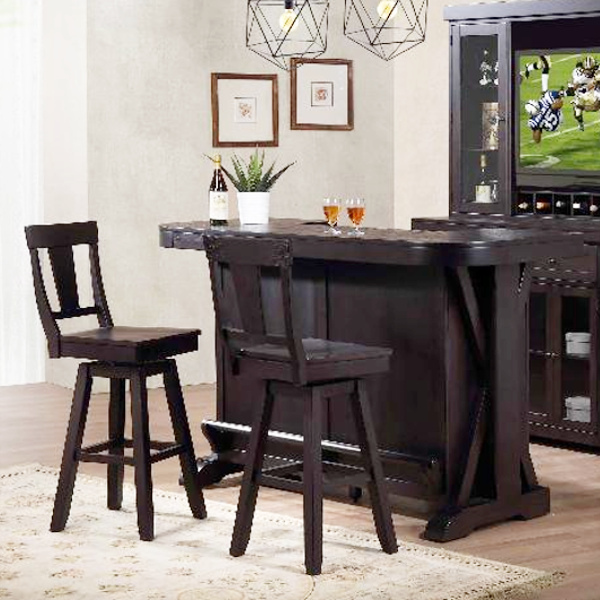 Black Oak finished spirit cabinet that includes library doors with piano hinges, wine rack, stemware holder, full extension drawer and a tempered glass top working surface, wine storage, constructed on heavy durable casters. 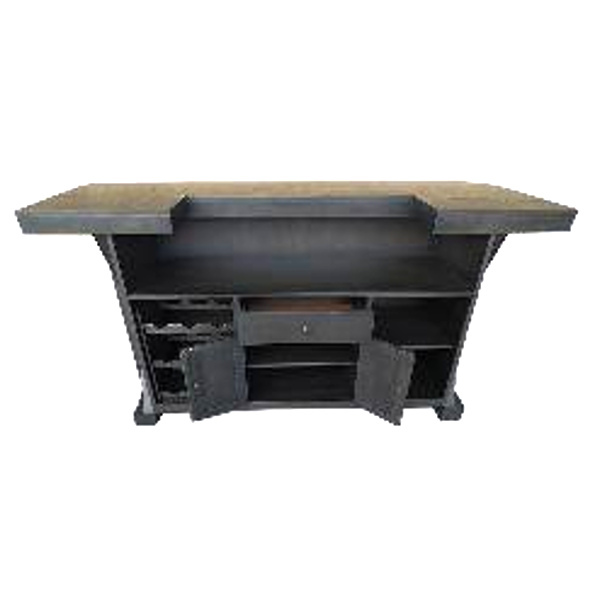 Dark Rum finish bar with wooden foot rest, wine rack, doors and drawer. Matching swivel sturdy all wood stools.